Opening track from the new Papir album coming out on February 11 on El Paraiso Records. The album will be released on deluxe 180g vinyl (limited to 600 copies worldwide) and digital only. 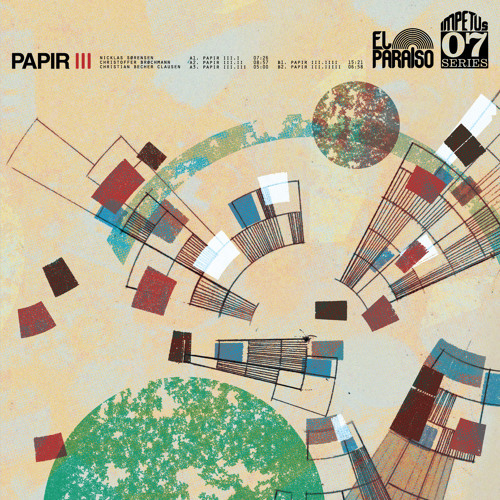 Preorder from http://www.elparaisorecords.com/releases/papir-III This album encompasses everything the band represents in a single piece of heavy vinyl – from explosive, guitar-solo driven peaks through motoric krautrock grooves to peaceful and atmospheric soundscapes. Like its predecessor the album was recorded during a single intense week in a small house in the Danish countryside, masterfully engineered and produced by Jonas Munk (Causa Sui), capturing the band in the midst of their creative prime.